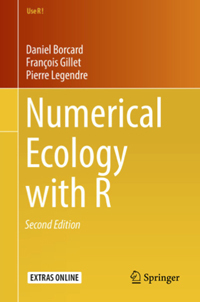 This page provides the data sets, R scripts, R functions and several useful links related to the book entitled "Numerical Ecology with R". This material includes a script to install the necessary packages; it also provides the data sets, the R scripts for all chapters (cross-platform) and several R functions. Material for the first edition of the book, February 2017, tested with R 3.3.2. No longer updated.